As May began, the FPIES Foundation initiated the Twitter campaign #IKNOWNOWFPIES in honor of Food Allergy Awareness Week. We asked FPIES families to tell us what they know now that they didn’t know when their child was diagnosed. From the first “I know now” post – “I didn’t know that you could have a delayed response to an allergen. I know now.” – to the final tweet of the campaign, we shared what parents of FPIES children have learned. They now know the mechanics of food; that small traces of food could send a child into shock, that soy, rice, and corn are ubiquitous in our processed foods, how to be creative with few ingredients, what quinoa is and how versatile coconut can be. 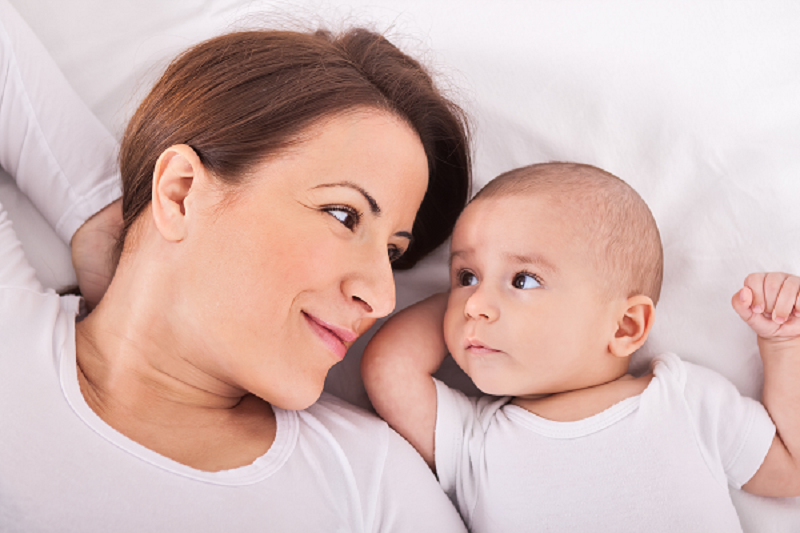 They have learned that cross contamination can be dangerous, that “proteins” can mean something other than meat and beans, that a child can react to proteins in a mother’s diet through breast milk, and exactly how to read labels on foods. 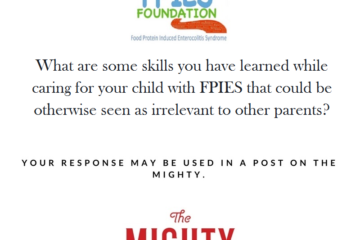 They now know the confusion surrounding FPIES; that it can look like a repeated virus to many doctors, that often people don’t even know that this kind of food allergy exists, that they must be a strong advocate for their child, and they learned the power of motherly instinct. They now know their own strength; that being an advocate for their child taught them what courage, endurance, and love truly are. They now know there are networks of people whom they have never met, and may never meet, who all care about their child and ALL children, enough to dedicate their lives to FPIES awareness and research. These parents are admirable and inspiring! 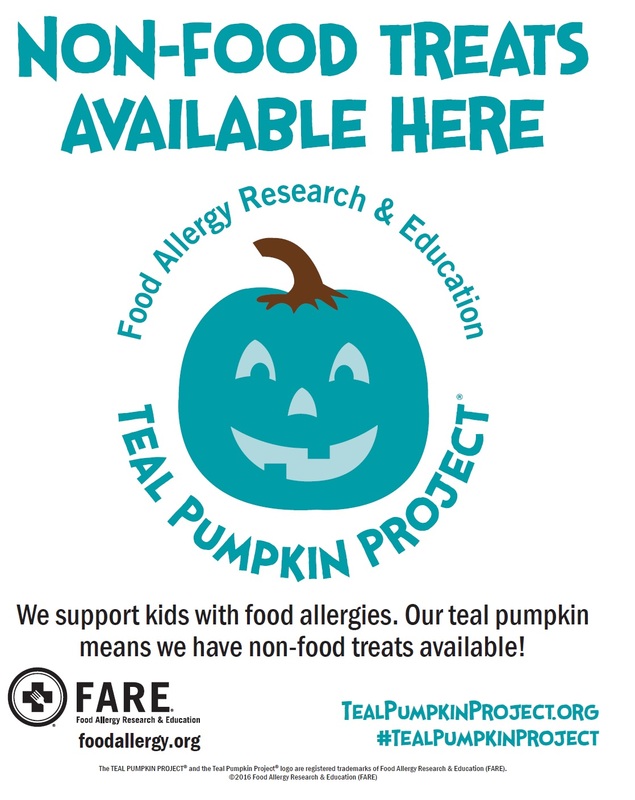 Thanks to the platform provided by Food Asthma & Allergy Month, the FPIES Foundation has shared the education of FPIES families with the world at large. This month, families have had newspaper articles written about their struggles, more medical personnel are at least aware that FPIES exists, and many new families have quickly and easily found the support and encouragement of other FPIES families upon their shocking diagnosis. This is amazing, and it was all thanks to you! You shared our tweets, our Facebook posts, our blog posts, and our literature. 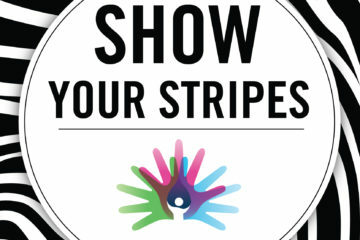 You spread the word – and you helped children across the nation receive quicker diagnoses and support. You prevented unnecessary medical tests thanks to doctors recognizing the symptoms of this disease. You helped make children’s lives better. Our work is not finished. The FPIES Foundation will not cease in its efforts to educate as many people as possible about FPIES and help families who manage this disease! But this was an excellent leap forward, and we at the Foundation want to thank you all for your efforts this month. We hope you will continue to click “share” every chance you get. We hope you will continue to tell people the story of your child – or your friends’ child – and their struggle with Food Proteins. We hope you will continue to support these courageous children and their phenomenal parents. You never know who you know that will need this information to help their child. We started May with “I Know Now”…and we end the month by saying “WE Know Now”!